Wastewater. What do you think of when you hear this word? Since working for a public utility, I associate it with water that goes into our sewers. It is dirty, unpleasant, and nothing I want to get into. Looking at the definition, I find it described as water that contains waste products; sewage. Reading this, one realizes wastewater is simply a part of speech we refer to as a compound word. There is a lot more water than there is waste in this liquid. I never gave the word this much thought until I attended a water-related conference. One of the speakers, who I apologize profusely to for I can’t remember her name, brought up the term. She was disturbed that the word “waste” would ever be so commonly placed with the word “water”. Her point being that water is so precious, we should never think of “wastewater”. Water is too important to waste or be associated with wasting. Since then, “wastewater” has been sloshing around my brain. The speaker had a brilliant argument, particularly from a conservationist point of view. We constantly create new ways to reach people with a message of not to waste water, yet as a public utility, we refer to wastewater every day. Additionally, the term “wastewater” is completely inaccurate when you consider the treatment method the used liquid encounters. 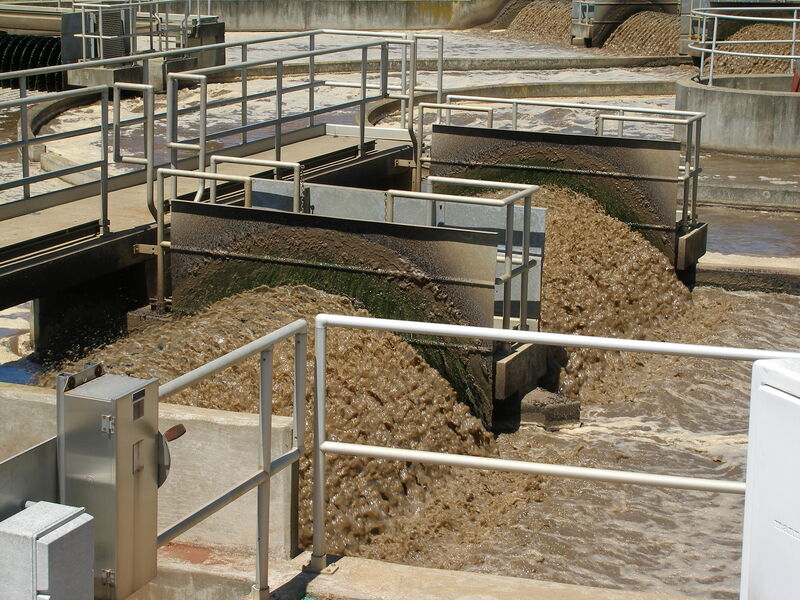 Upon reaching a water reclamation facility, any solid wastes are immediately removed from the water through the screening and filtering processes. Next, the water is introduced to microorganisms. These little bugs get busy removing the contaminants we can’t see, such as phosphorus, ammonia, and other “yuckies”. The water then passes through a bed of ultraviolet lights to offer additional disinfection. The end product, called effluent, is reclaimed water that has been refreshed and is returned back to the source. At no point during the water reclamation treatment is water wasted. So how can we continue to call this used water “wastewater” when none is wasted? The only “waste” is the “waste” added to the water. This waste is giving our precious water a bad name. With this rationale, I am proposing we reclaim our water from the waste. Let’s change the vocabulary we use in our public utilities and coin a new term. We turned to social media and posed this question to our followers: “What should we rename “wastewater”?” Several wonderful and thoughtful suggestions came pouring in. We wanted something that would roll off the tongue, was easy to understand, easy to remember, not too long, and provided a more accurate description. Our winner is “Flush Water,” suggested by Mary Matthews, a dedicated promoter of water. It is simple and flows. It is accurate. “Flush” is defined as “a rushing or overspreading flow, as of water.” This happens not only in the typical way we think of a flush of a toilet, but also with the flushing of a pipe or drain. And when it comes down to it, I think we would all rather be “flush with water” than “waste our water”. How do I hope to create this movement from “wastewater” to “flush water?” When I visit with our community through tours or classroom visits, I plan to mention “wastewater” only once. This will be to briefly explain that I will be referring to this as “flush water” and add a quick explanation as to why. At professional conferences, I will do the same. Wherever I go, I will invite people to wash “wastewater” from their mouth, so to speak. I invite you to become a part of this change in terminology. “Sewage treatment plants” are now “water reclamation facilities”. “Wastewater” will be “flush water”. Will you join me? This entry was posted in Uncategorized and tagged flush water, wastewater, water conservation. Bookmark the permalink. Follow Us - Dive In!